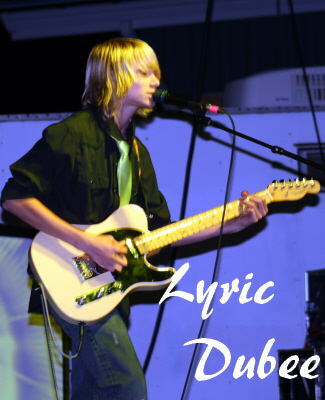 Lyric still acquires his inspiration from books and movies which are reflected throughout his song writing. With the eclectic mix of sounds and styles, Lyric has decided to name his genre of music Revolution Rock (combination of Rock/Pop/Blues/Country/Jazz). The newest album has nine songs including one bonus track and an eight page pull out with the words to each song. I offer the following review of his new CD which I’m hoping will inspire you to purchase his new album. You can buy it now directly from his website and it will soon be available on iTunes and Amazon.com. Be watching this site for future links of how to obtain Lyric’s music. His new CD will be displayed at the top of the CD’s and Singles Page on this site as soon as it is made available to me for publication. Alive is the one song and title track on the new CD that took a while to name. 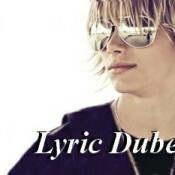 Recently Lyric was able to view the series “Vampire Diaries”, which partially inspired him to write this song. It is a song for guitar lovers as well and has a John Mayer inspired riff. By permission, here is “Alive” for your listening pleasure. You can also listen to it on Sound Cloud along with some of his other songs. The common thread between the first and second album is that they both have one song about vampires. Perfection is a pop song that will be made into a music video shortly. The video story is about a girl who sees herself as unattractive, but the guy sees her true inner beauty. If you read his introduction article here last summer, then you saw the very beginning of his work on this song in an exclusive and personal behind the scenes acoustic version of this song. The final studio version is also on SoundCloud. Shout is a completely different jazz song with a Santana like guitar solo. Lyrics vocals and riffs on this track are incredibly enjoyable! 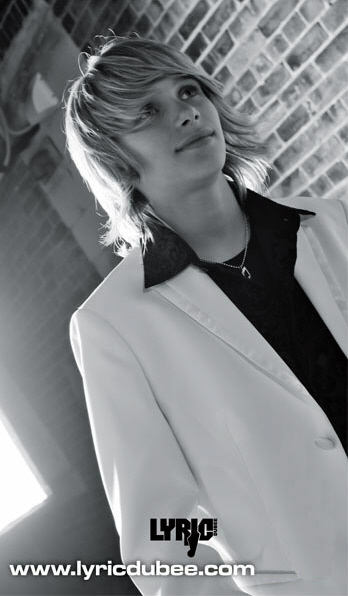 His youthful energy and soul that is poured into his music is simply captivating! I was instantly returned to the 70s when I was in my teens and listening continually to my Santana collection. It goes without saying that Lyric’s music appeals to not only the young but to the senior generation as well. Listen on SoundCloud. She’s The One has a Country Rock flare. On this song Lyric is joined by Virgil Scott, a well known musician friend doing backup vocals. Lyric also plays the lap steel slide guitar on this track, a new addition to his guitar collection utilized on this album. Here it on SoundCloud! If this is your first time hearing Lyric I guarantee it will not be your last. 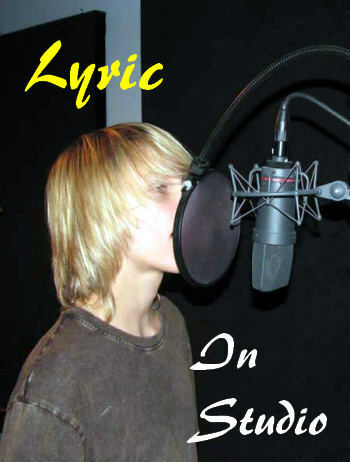 Whether you’re a country or rock lover you’re going to love Lyric! Alarmed is also unique due to the fact that it was written and played on his classical guitar. His Mon to Fri 6 a.m. classical guitar lessons has paid off making their mark here. The nylon strings give this song a uniquely warm feeling. Here it on SoundCloud! Ghost falls in the rock category. This song is a power house when performed live, especially the guitar solo at the end when the drums change to double time. Lyric has a unique way of capturing a very eerie and intense feeling in on this track. I know if a film director is reading this article and is looking for soundtracks for his next Ghost or Vampire flick, he is going to want to contact Lyric. I personally can see both “Ghost” and “Alive” being featured within the soundtrack of a major motion picture. Hear it on SoundCloud! This song also has a video made by a fan. Second Chance was the last song recorded for the album. Pushing his song writing technical skills, Lyric wrote this one in 6/8 time. This is quite an accomplishment for a 14 year old. The lyrics contain powerful words of emotion and love, making this a true competitive classic love song. Hear it on SoundCloud. I think you will have to agree that Lyric writes and produces like some of the very best in the music industry. 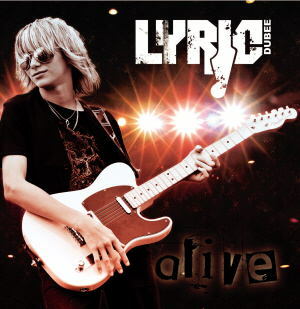 *Since this article was first published Lyric has released his Alive CD. Get it on iTunes or Amazon.com now!